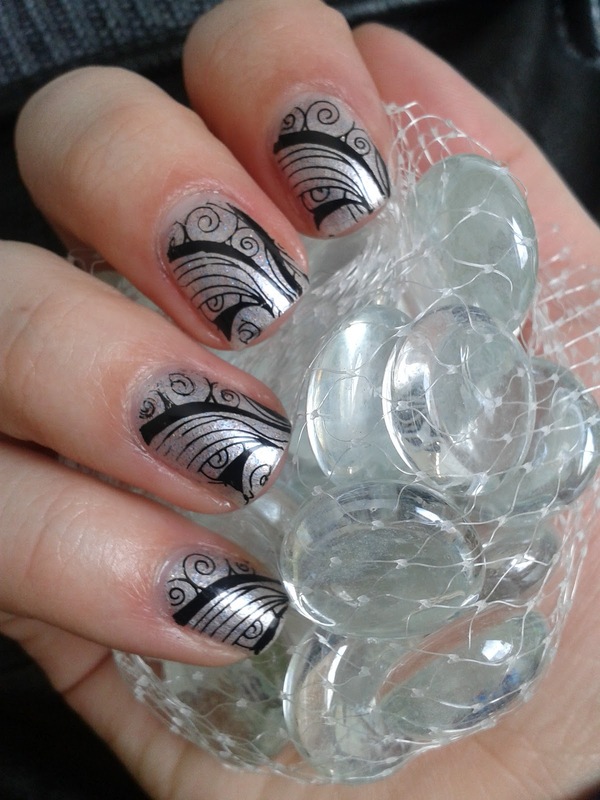 It's time for the 5th manicure in our B&W challenge! For today I didn't have time to prepare something special, so I'll post one manicure from my old files =). After looking at this pictures I think I could post this one also as the first manicure in our challenge since it looks like black and white, but actually it isn't. 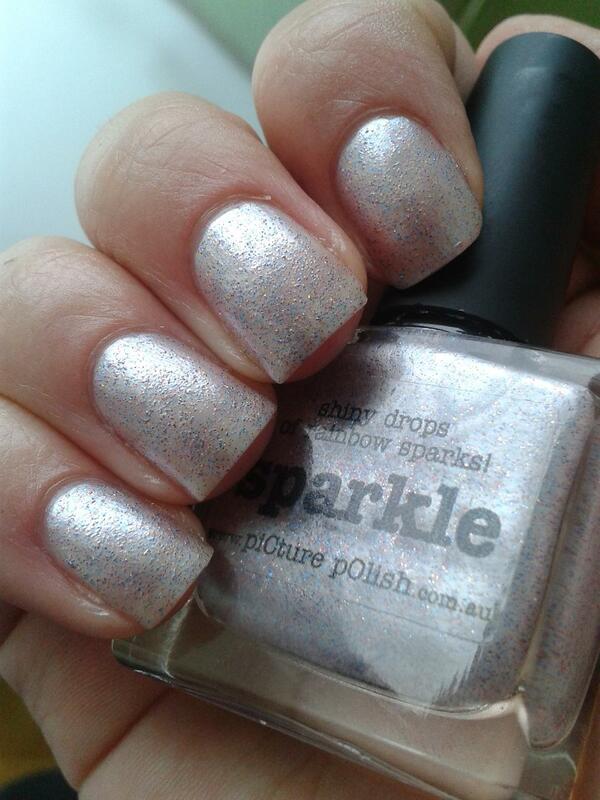 It is a light silver base with loads of multicoloured glitter. 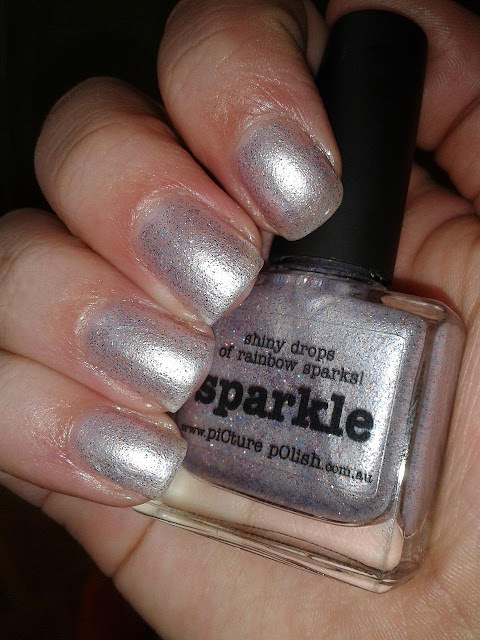 I got this polish in a swap with lovely Amanda from The nail polish enthusiast. She is really one of the sweetest persons I know =). I also added stamping. 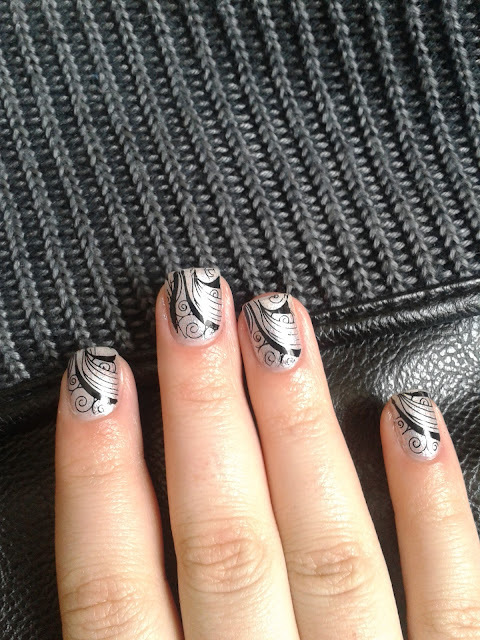 And because I discovered that I constantly use the same images and some weren't even once on my nails I decided to give design from M51 plate a try. I must admit that it doesn't look all that bad on the nails. I actually liked it, and because of this I decided that I'll make sure that I'll use all of my designs from konad image plates at least once =)). I do hope I won't regret my decision =). I love this base color you chose!! This looks so good! I really like that plate actually, and you rock it! This is very elegant! I love it! I tagged you on my blog in a Get To Know You Tag! Feel free to check it out!